Is Your Job to Keep Others from Doing Theirs? Within any organization, you’ll find two categories of people. First, you’ll be surrounded by a majority of co-workers who produce results. Second, you’ll encounter a minority who believe their job is to keep the first group from doing theirs. 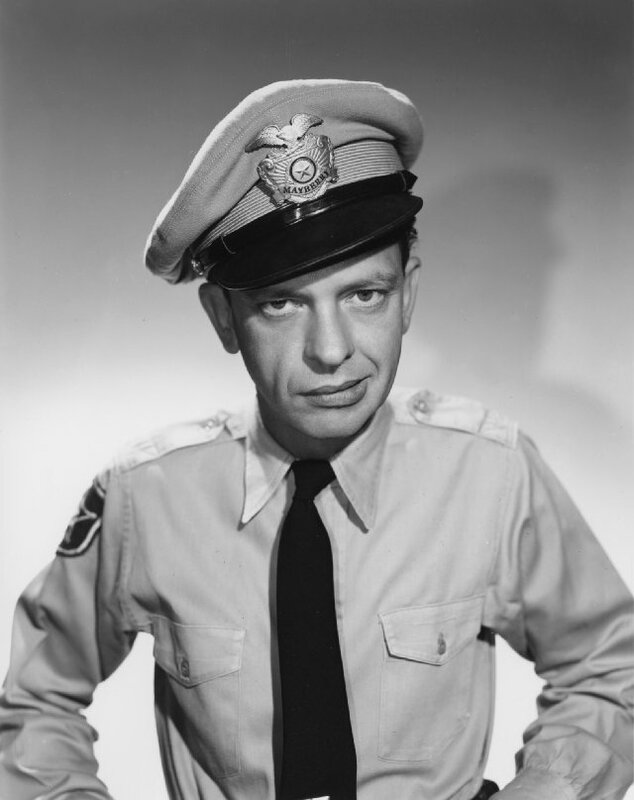 These people resemble Barney Fife, the bumbling deputy who—when given a badge—overcompensated for his latent insecurities by flaunting his authority. They know how, but not why. They’ve been given tasks to perform, but they cannot connect their work to the organization’s mission. They fail to see the big picture. With blinders on, they focus on creating and enforcing rigid policies without considering the ripple effect upon teammates, upon other work processes and ultimately upon the customers we all serve. Marketing and Communications. Communicators who believe they must control the message are naive and obsolete. In today’s 2.0 world, our job is not to stifle, censure or muzzle communications, but rather to join and influence conversations. Information Technology. Security of data will always be important. Some IT professionals, however, are so uncreative that they overlook what we can do with technology. Instead, they obsess over what they believe the rest of us must NOT do. Carried to an extreme, these IT curmudgeons would probably be happiest if we never turned on our computers, thereby avoiding the evils that lurk in cyberspace. Fundraising. In the nonprofit world, donations represent an essential form of revenue. A minority of fundraisers, though, can become so preoccupied with hitting their “sales targets” that they subconsciously believe the organization’s primary mission is to raise money. That mindset prompts them to see the work of others as orbiting around them and their mercenary endeavors. Human Resources. Why can’t HR professionals trust their colleagues to make good hiring decisions? I question policy makers who insist that only HR people are qualified to make job offers. In that spirit, why not require that all marriage proposals be made only through lawyers? After all, in both cases we’re dealing with legally-binding human relationships. Legal. The best way to work with lawyers is to understand they’re not trained to say, “Yes!” They look for risk and then advise clients using various shades of “No.” I value legal counsel in an advisory role, yet I wonder about a minority of legal experts who appoint themselves to be the final authority in the decision-making process. Finance. Money should always be viewed as a means to an end—a currency that helps an organization fulfill its mission. Accountants who fail to connect their work to the company’s mission tend to become enforcers and controllers (pun intended). An organization’s success requires teamwork among a diverse, collaborative workforce. Only by working with—rather than against—each other will we produce results that will have a meaningful impact upon society. As I see it, we have two options. We can either produce results, or we can obstruct the progress of those trying to get things done. This entry was posted on Tuesday, April 2nd, 2013 at 8:30 am and is filed under Life in General, Life Observations, Marketing & Strategy. You can follow any responses to this entry through the RSS 2.0 feed. You can leave a response, or trackback from your own site. 6 Responses to Is Your Job to Keep Others from Doing Theirs? Administrators are supposed to create the framework/box for the team, but they often become the police. No one likes seeing them in the rearview mirror, but we’re awfully glad to see them when we’re in trouble. To your point, there needs to be more collaboration. You can’t grow a business if the framework is too constraining, but you can’t sustain and foster growth without a stable framework. I think the breakdown often comes from the age old “father knows best” mindset and the lack of true communications among groups. It takes a great deal of leadership maturity to open one’s area up for input or to “relax” the framework, because, at the end of the day, they are responsible for the outcome–good, bad or indifferent. It’s all about managing risk and change (from which most humans shy away). Job shadowing experiences can have a profound effect on increasing transparency and awareness of what other groups do and are responsible for and, in turn, increasing collaboration. Lisa, you’re right. It does take a lot of maturity to open up one’s area of professional expertise for input and collaboration. The breakdown, as you say, often stems from a lack of communications. I think the real issue comes from a paranoid mindset that thinks, “I can’t trust others until they prove they can be trusted.” That doesn’t feel like partnership. I value your thoughts and esp. your friendship, Lisa. You’re a great communications colleague. Thanks for your comment. Interesting choice of words though on this one Duane. Like most everything, and as you all have said, communications is a big key. But overall its a problem of people not understanding how their role fits in to the bigger picture of the mission. And I won’t say it is always their fault. Leadership has to keep that in perspective. I think it is unfair to question the motivation though of the actions. Unless its IT, you are right about them…the method may not always seem right but that doesn’t automatically determine the motivation. Fundraisers that are persistent and assertive about hitting goals may be doing so because they are motivated by making sure there is money in the bank to help clients, pay staff, keep the lights on, etc. Overall I think the point of everyone remembering why we do what we do and that we are on the same team isn’t reinforced enough. Good points, Patrick. Thank you. If someone’s actions and motivations are not aligned, they should be. They would be much more effective if they were congruent. One other team member I would add aiding in an organizations mission be those funders. Now that I am on the other side of giving it is wonderful to me to see how some organizations “just get it”. We are in a world now where slapping a logo on an event is (while often helpful) not as valuable as it may have once been. Entering into more meaningful partnerships where both parties can benefit seems to make so much more sense! We can really grow a partnership with organizations and become a supporter in ways that are outside of (and more meaningful than) just cutting a check once a year! Macaela, thanks for your insights. I hadn’t thought about the topic from your vantage point, but your points are excellent and very well taken. BTW, I miss have you as a co-worker, but life goes on. Thanks for your comment.